Anara Residency offers comfortable lodgings for travelers. Standing strong with a beautiful building, the rooms of this residence are spacious and well-lit. The cushioned headboard of the bead gives a touch of royalty to the room, with the beautiful curtains adding to the charm of it. 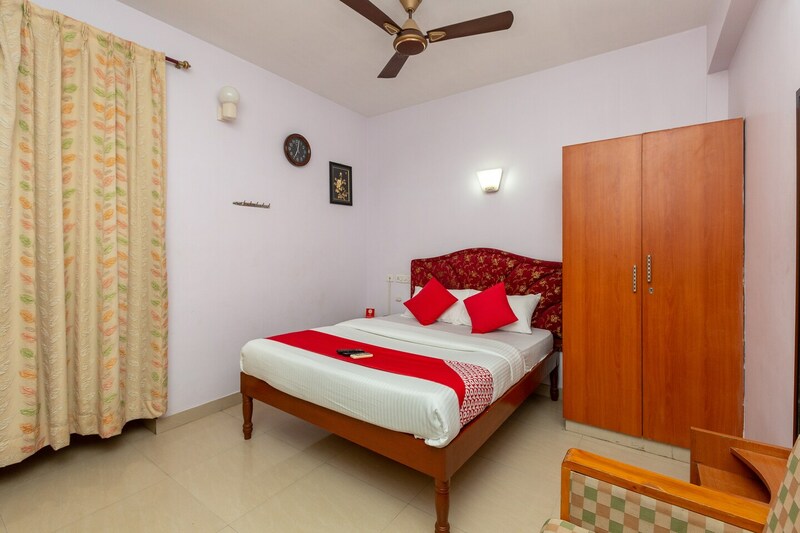 The rooms are loaded with the basic amenities, making it a very comfortable place for the guests. The residence has a seating and dining area, adding to which a kitchen is also available. They provide free WIFI, power backup facility, allow payments through the card and also has CCTV cameras installed on the property making it a secure place for the guests.